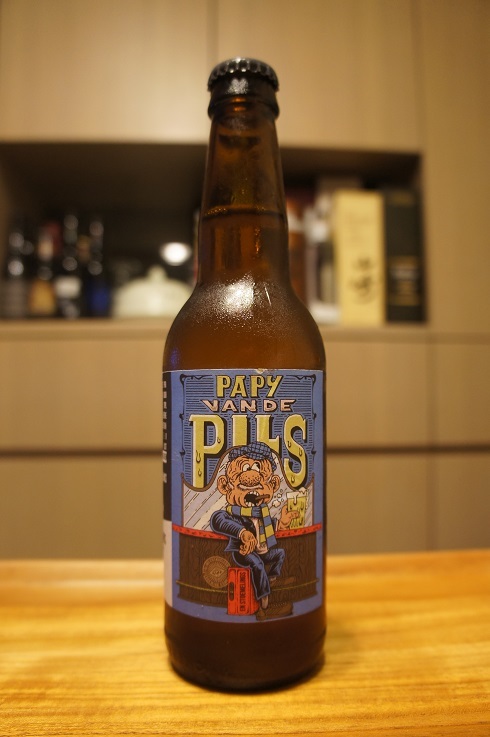 Brewer Description: (from Belgian Beer and Food facebook post) Papy Vandepils is a collaboration between Brussels brewery En Stoemelings, and Blind Enthusiasm from Edmonton Canada. It’s a simple and delicately balanced beer, with a grainy, cereal like flavor, followed by a long satisfying dryness. 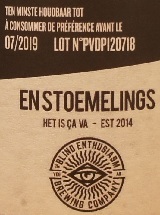 As you may have noticed from our editorial, some members of the Belgian Beer and Food team have an emotional attachment to it, since it represents a coming of age for our friends at En Stoemelings, and ranks as the best thing they’ve made so far. But, it’s a worthy choice in and of itself. According to Denys one of the brewers who made it, the trick is to have the right mix between Heidelberg and Pils malt, two weeks of lagering, and three weeks of maturation, plus clinically clean stainless-steel equipment and lots of love. 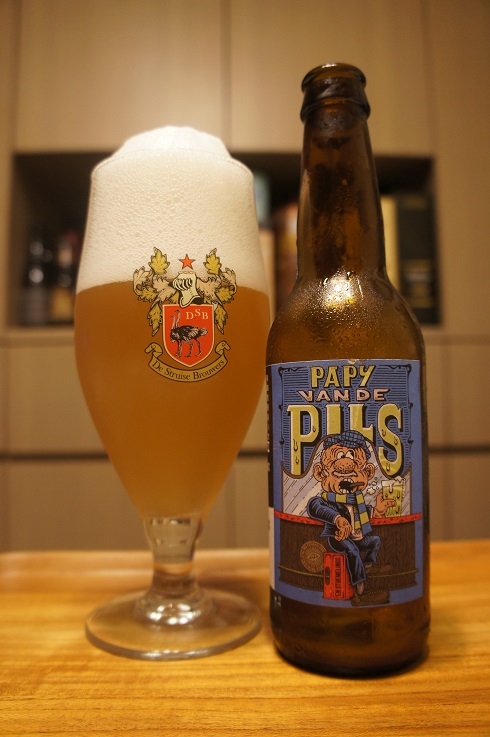 As to what inspires this beer, the brewers mention Tipo Pils and Rulles Pils, but emphasise that the real reference is a classic Czech Pilsner. Intro: A 330ml bottle, with a best before date of July 2019. Poured into a De Struise glass. Appearance: A lightly hazy golden colour with a big three finger white head that had excellent retention and left lots of nice sticky lacing. Aroma: Sweet, lemon zest, bready, yeast, grass, tea and light floral notes. Taste: Light bitterness, lemon zest, citrus rind, grass, grains, pepper spice and hints of bread. Mouthfeel: Dry, light bodied with moderate to soft carbonation. Overall: Easy drinking Pilsner but at the same time not as crisp as others that I prefer.